From the writer/director of In Bruges and Seven Psychopaths, Martin McDonagh, it’s a fine return to form for a man whose films tend to have serious tones, violence and yet also humour and some heart felt moments. 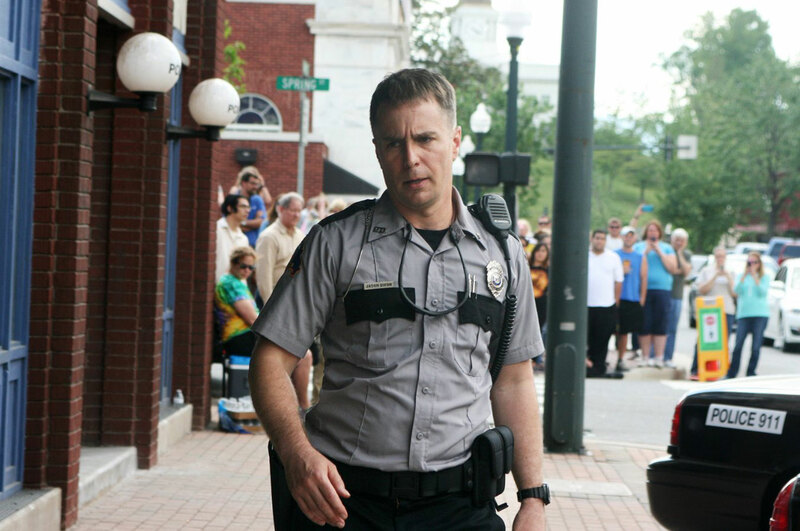 Taking on the subject of small town America, of incompetent police, dysfunctional family relationships and of course, the deep sadness of losing a child to violence, this film could have been a very different story in the hands of someone else. Because whilst it explores the grief of Mildred, it focuses on her strength and her ability to act, her toughness and determination. It’s an underdog story. It’s also a story that is bittersweet and darkly funny, but manages to hit you right in the feels. Part of what amused me about this film is that in small towns, everyone knows everyone. So when one character enacts violence and physical harm on another, here we see it forgiven, but you also know that the story will be all over town and also repeated for years to come. Everyone knows everyone’s business, and yet, since you have to live with them, it’s also easier to forgive than live with a grudge. It also means that if you put up a billboard demanding answers and action from the local police, everyone will have an opinion on it. The police in question fall into two camps, personified by Chief Willoughby (Harrelson), the kind who care but have their own problems, and Officer Dixon (Rockwell) who feels the badge entitles him to do whatever he wants and who has a reputation for violence towards anyone of colour. When it comes to light that beloved Willoughby has cancer, there’s a sense that Mildred should go easy on him, as opposed to him not being able to do his job, which I found interesting. Whilst Willoughby is a calm voice of reason, Dixon is a man who lashes out. And the billboards have both men upset. Though many people in the town of Ebbing Missouri are drawn for the viewer, and we see a little into their lives, it’s Mildred’s film. She’s a complex person. While clearly bowed under the weight of her grief, and yet she isn’t breaking. While she’s a mother who has lost a child, she’s not drawn as a perfect parent either. She can’t let go, and yet her strength in holding on makes her quite impressive. She pugnacious, argumentative and takes action. Which is impressive considering some points, this is a town where in this film: a girl has been raped and murdered and no one has been arrested, Mildred’s marriage was abusive and her husband is still violent towards her, her dentist tries to drill her teeth without anaesthetic in order to get her to comply with how he’d like her to behave, a cop punches a woman in the face and knocks her down and it’s never mentioned again, a woman is arrested and held without bail on trumped up charges because she is Mildred’s boss, and Mildred’s son is comfortable calling her a c-word. And both the police chief and Mildred’s ex-husband have partners who are a great deal younger than them. These are all moments taken out of context of the plot, but my point is that it’s not a safe place for women, the consequences of acting out are high. But Mildred punches, kicks and swears her way through, unabashed. Her pain is hard to watch sometimes, and yet this film is heartfelt, warm, and has a lot of love and humour at it’s heart. It’s hard not to love Mildred, and even the people around her who on the surface may not be nice, but who show their solidarity, their vulnerability or demonstrate forgiveness in a way that is never cheesy or dramatic, but it simple and kind. It’s a beautifully shot film, showing the beauty of the Missouri, and the music gently supports the emotions of the films moments. The performances in this film are brilliant, not just McDormand, but Harrelson and Rockwell (who manages to be awful, funny, terrifying and vulnerable all at once), but the side characters too. It’s lovely to see Caleb Landry Jones and Peter Dinklage given roles that are more diverse than what they’re usually given. In a year when a lot of films were big shiny spectacles with not a lot of heart (of course, we love those films too), this film manages to be beautiful and heartfelt, as well a darkly funny. A wonderful watch. 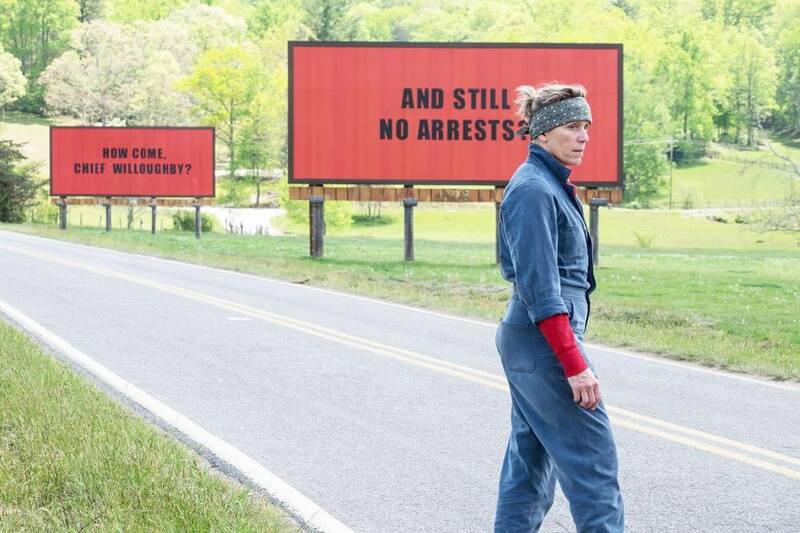 Three Billboards is out on DVD & Blu-Ray now!